Glass Processing at our Hendon factory. Situated in Watford and Hendon, our production facilities use a mixture of traditional skills and state of the art technology – meaning you get flawless, quality glass products. Our teams providing bespoke, quality deliverables. Our design team will download your project dimensions directly from our CAD systems to our CNC machines in the Watford factory, ensuring that our frames are engineered to the finest tolerances. 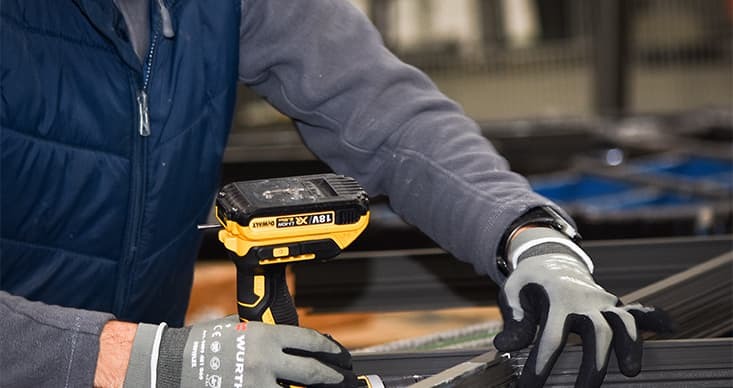 All of our factories run multiple shifts ensuring a high level of productivity at all times of the day. We welcome you to visit any of our London factories to ensure that you have complete confidence when dealing with us. Our factory stock is expansive. Our comprehensive stock of Aluminium Extrusions in a range of popular colours ensures the CNC machines are kept working, without having to order profiles on a job by job basis. 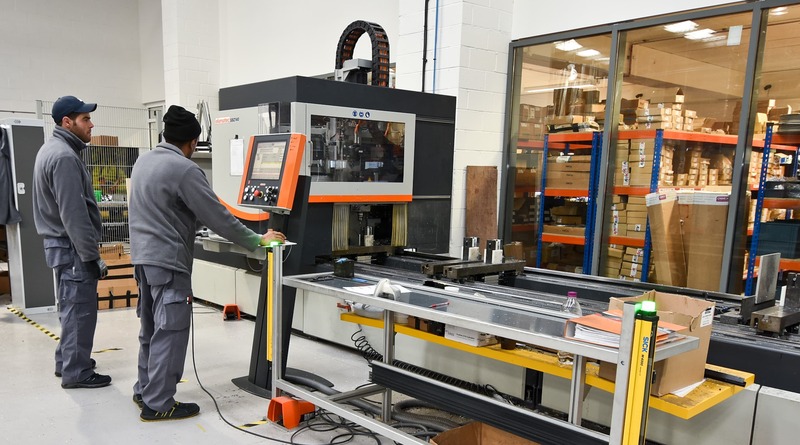 Automated cutting, drilling and routing using dimensional data downloaded directly from our CAD system ensure manufacture to the tightest tolerances. A twice daily delivery of completed double glazed units, and specialist glazing panels from our sister factory helps us keep lead times to a minimum. Every cut profile and section is identified by a unique bar code which identifies the project, the individual door or window, and where the component fits. Detailed inspections of the components are carried out at every stage in fabrication, and again prior to delivery.